2017 was a great year. 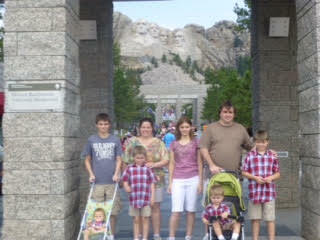 We tried to encompass our theme of “Everyone. Everywhere.” into all that we did. There were learning experiences along the way, but the community consistently pushed us to provide the best game and experiences we could. For that, we thank you tremendously. Below, we have some “year-in-review” stats and messages from the team followed by more information about our 2018 theme. 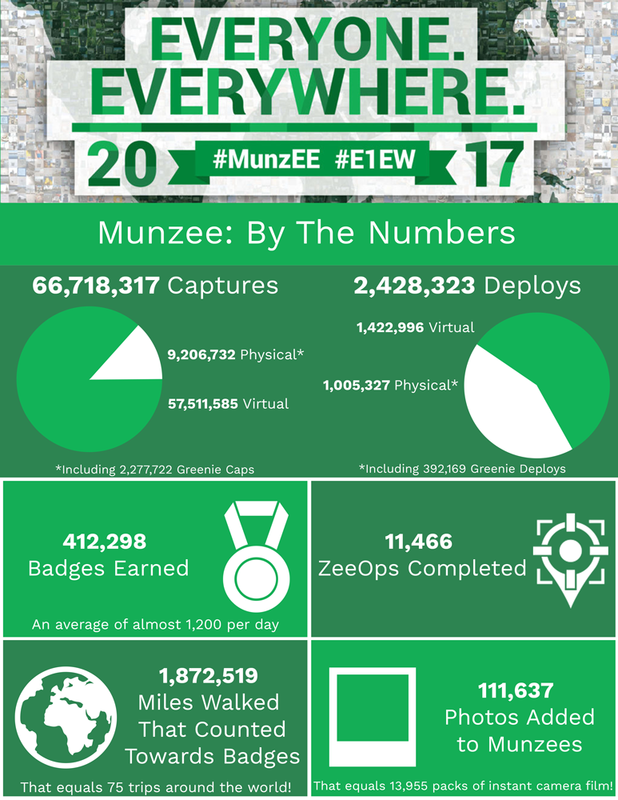 Wow, what a year 2017 has been for Munzee Events. To everyone everywhere, thank you all for keeping me so busy! We’ve had some fantastic events this year from the Tea Parties to our 6th Birthday celebrations, the MunzFit Events to the Christmas Parties that are just wrapping up now. 525 events to be precise, most hosted by you, our wonderful players, and some hosted by us at MHQ. 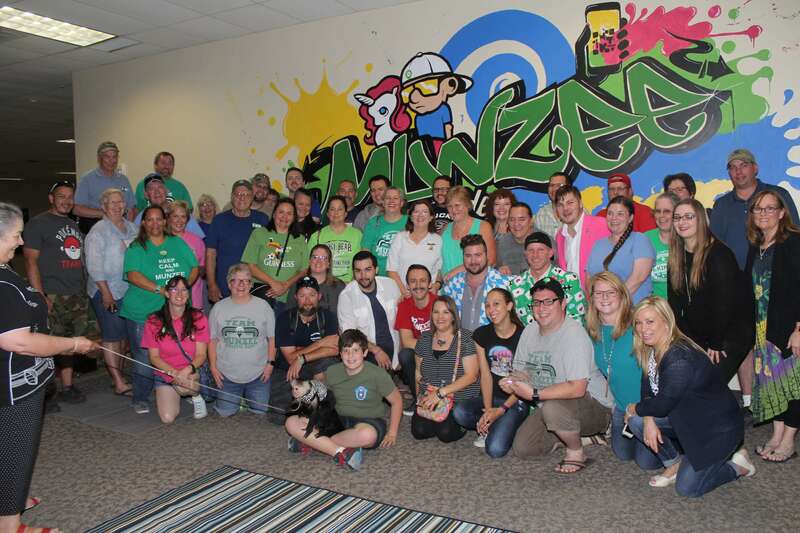 We were delighted to welcome so many of you to our new office in McKinney back in September and had our first events with the whole MHQ team. We have greatly enjoyed coming to your events all over the world too, thank you for inviting us and being such wonderful hosts. 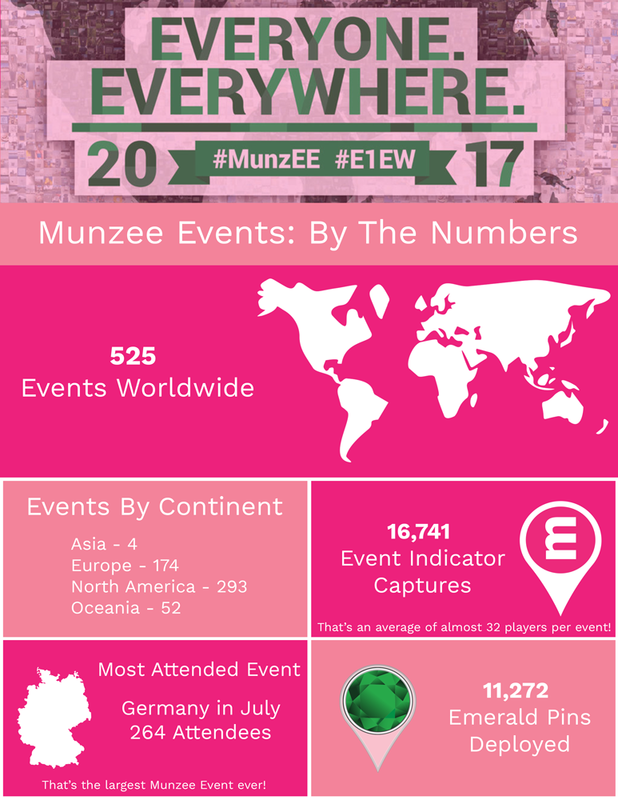 Personally, my absolute highlight was celebrating my birthday with over 100 Munzee players at the Australia Day events back in January! We’ve introduced new exciting merchandise exclusive to events and created Emerald Gardens all over the world. We also hit new record attendance levels with the events in Germany this summer, absolutely brilliant stuff! 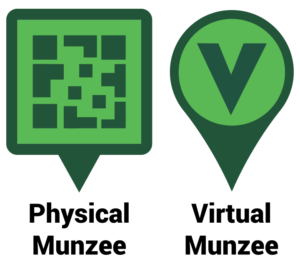 I look forward to meeting more of you virtually as I work with you to create your Munzee Events and can’t wait to meet even more of you out and about at your amazing events. 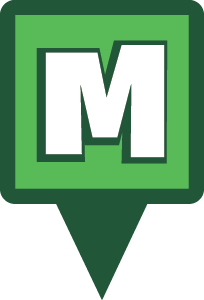 Thank you for your support, Munzee On! As we mentioned in the podcast, our theme for 2018 is “The Time is Now.” Over the years, there has been projects and ideas that we haven’t had the time or resources to implement. With the staff and resources we have after merging with Freeze Tag, we can finally put these ideas into action. These range from gameplay changes to a new app and work on them will begin immediately. 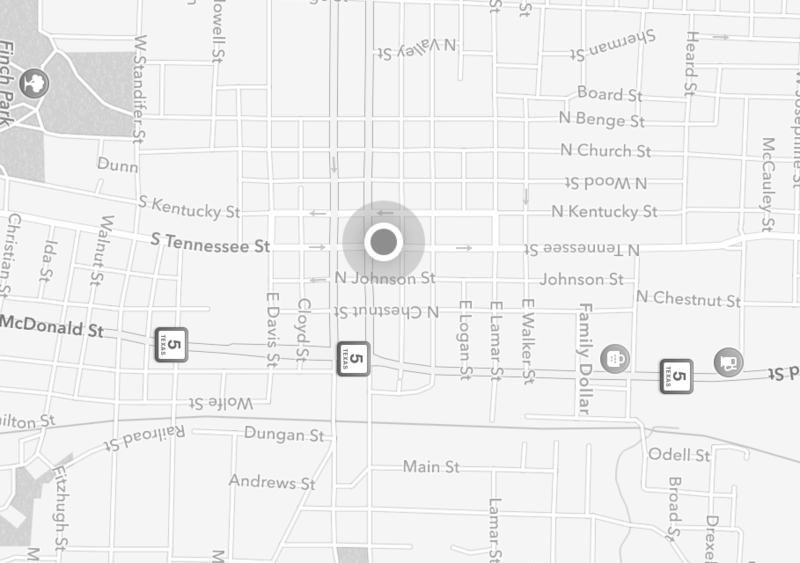 While you may not see them immediately, be sure that we are working to make the game and app better than ever. Once again, thank you for everything you have done to help grow the game and support other member’s of the community. 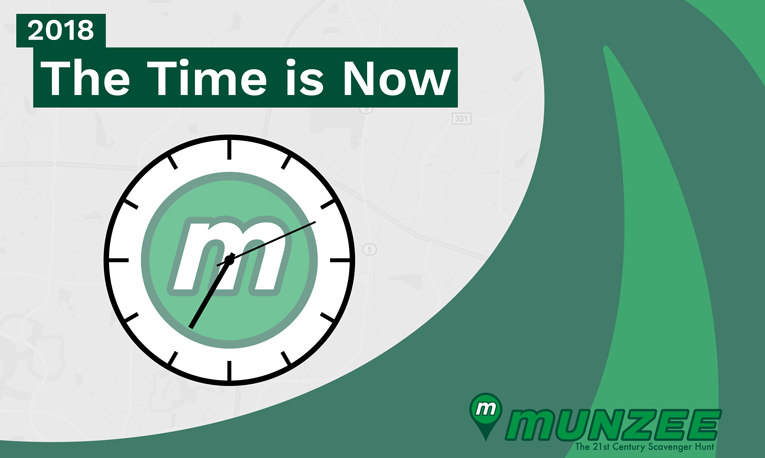 Happy New Year, and Munzee on! 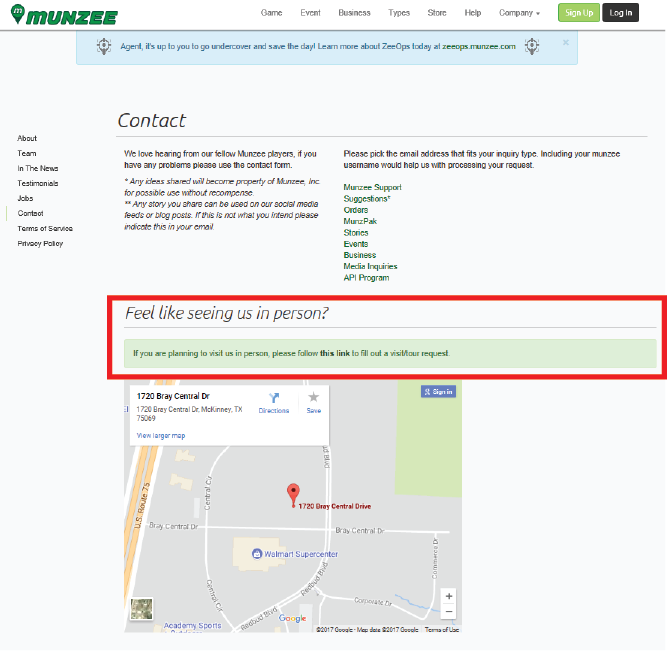 Here at Munzee we’re constantly encouraging our players to meet and greet and build the personal relationships that make this game so great. 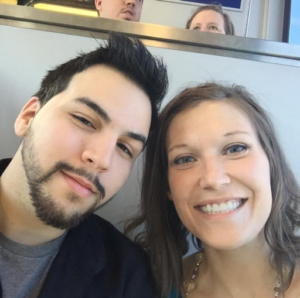 Our team continues to grow and we’re excited with the addition of Daniel Parker. The people, and winter, are great. I like to play sports, make my own beer, golf, brunch, and vacation. Everything is a nail to a hammer. I grew up in the northwest suburbs of Chicago, had a brief stop in Sioux Falls, South Dakota, and now, I live in Allen, Texas. 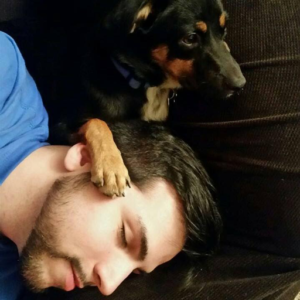 I’ve been married for almost 7 years, and we have 3 rescue dogs. The people. Everyone is laid-back and willing to help each other out. I am a self-taught guitar player, and I’ve been playing for 17 years. 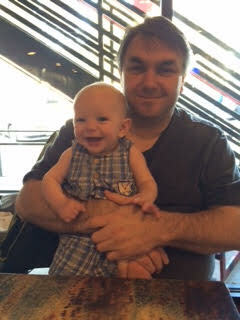 I also enjoy weightlifting, especially the Olympic lifts (cleans, snatches). I enjoy trying different Bourbons as a connoisseur, and I’ve been lucky enough to have had the famed Pappy Van Winkle bourbons (12-, 15-, and 20-year-olds). WOW- The first signup for the Coinz Of The Month Club was a HUGE hit and ended in mere minutes. Unfortunately mere minutes isn’t nearly enough time to give everyone a chance to purchase so our supply definitely didn’t meet demand. Admittedly we wanted to roll this new subscription service out slowly, but the response has been overwhelming and we will have to plan accordingly. We have already ordered more of January’s Coinz. Unfortunately since there is such a long production time those Coinz will not be available for a few weeks. 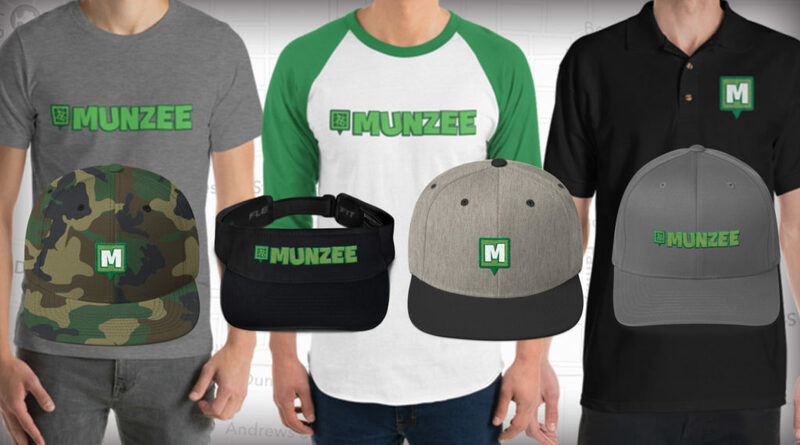 To make up for this we will put the next round of January Coinz for sale in the Munzee Online Store once we have received them. NOTE that this will not add you to the Club subscription, this will be just to purchase those Coinz. Based on the excitement around Coinz the MHQ staff are working hard to reconfigure this subscription experience, so stay tuned for more info! We want to thank all of you for your interest and patience regarding Coinz Of The Month Club. We have some exciting stuff coming in the months ahead!